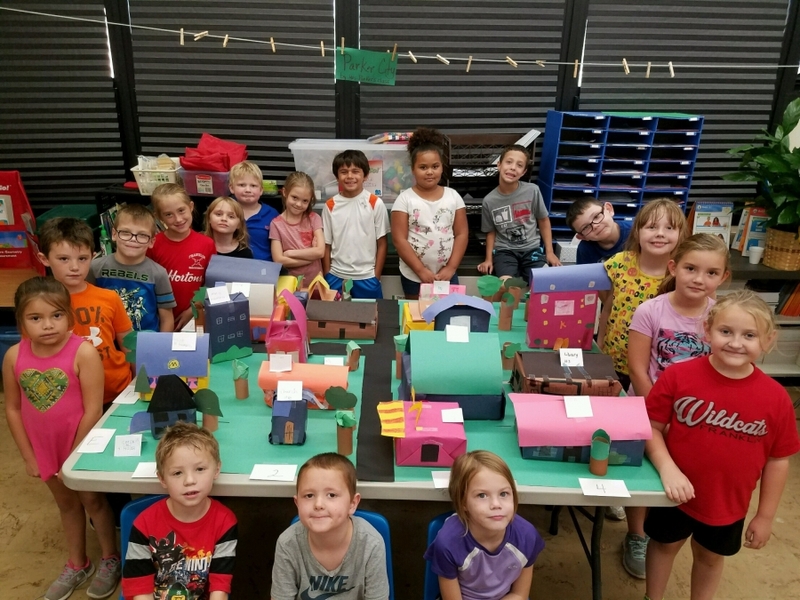 Anthony Wayne second grade students in Mrs. Parker's class were excited to take what they learned about communities to make their very own. The students brainstormed ideas to decide what structures would be needed and went to work making their creations. Finally, they discussed as a class how to strategically place each structure.